Though charged with a major offence an accused can be convicted for a minor offence, the vice-versa is impermissible, said the Court. Delhi High Court has held that when a deaf and dumb witness is under cross-examination, the Court is required to take due care of the fact that vocabulary of such a person is limited as he or she speaks through sign language and it may not be possible for that witness to answer, or in detail explain every answer by sign language and this disability of a limited vocabulary of sign language does not affect either the competence or the credibility of such witness. Justice Mukta Gupta has made the above observation while disposing an Appeal filed by Accused convicted for the offence defined under Section 9(k), punishable under Section 10 of The Protection of Children from Sexual Offences Act, 2002, for sexually assaulting a 12 yr old deaf and dumb girl. The twin arguments raised by Counsel for the appellant are that since the prosecutrix could not be cross-examined her testimony cannot be read in evidence and even if the offence is proved against the appellant, the same would fall under Section 7 punishable under Section 8 of POCSO Act and not under Section 9(k) punishable under Section 10 of the POCSO Act. “The purpose of cross-examination is to ascertain the truth in relation to the acquisition levelled against an accused person and a discretion is vested in the Court to control the cross-examination. A party cross-examining a deaf and dumb witness like any other witness is required to act within the bounds of law and cannot be permitted to cross-examine the witness all and sundry on irrelevant questions. Section 138 of the Indian Evidence Act itself provides that the examination and cross-examination of a witness must relate to relevant facts but the cross-examination need not be confined to the facts to which the witness testified in his examination-in-chief. The purpose is that in cross-examination besides relevant facts, facts which impeach the credibility of the witness and shake his creditworthiness can also be asked. However still the first portion of Section 138 of the Evidence Act qualifies this right confining the cross-examination to relevant facts though it may not have been so deposed in the examination-in-chief. It is the duty of a Judge to control the cross-examination to prevent any abuse and to protect a witness from being unfairly dealt with. Sections 149 to 152 of the Evidence Act prohibit asking questions without reasonable grounds, which are indecent and scandalous in nature, or which are intended to insult or annoy the witness”. “When a deaf and dumb witness is under cross-examination, the Court is required to take due care of the fact that vocabulary of such a person is limited as he or she speaks through sign language and it may not be possible for that witness to answer, or in detail explain every answer by sign language. This disability of a limited vocabulary of sign language does not affect either the competence or the credibility of such witness. The Court is required to exercise control over the cross-examination keeping in view the ability of the witness to answer the questions. Accepting the contention of the Accused, the bench held that in the facts of the case Court is not required to go into whether aggravated sexual assault is made out or not from the evidence on record, for the reason there was no charge for aggravated sexual assault framed against the appellant. 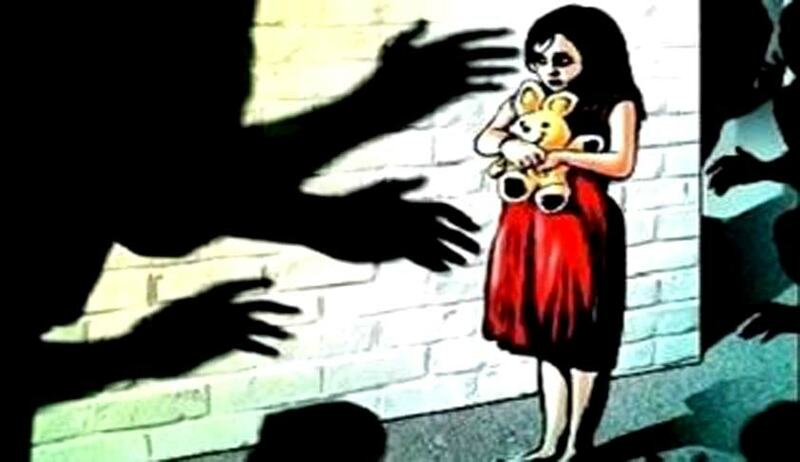 Consequently, the Court altered the conviction of Accused to one for offence defined under Section 7 and punishable under Section 8 of POCSO Act.